, so in this atrical i will describe you the simple code to get correct format for the textarea message filed.
' inserted before all newlines (\r\n, \n\r, \n and \r). The output will be same as you Enter in the textarea filed. 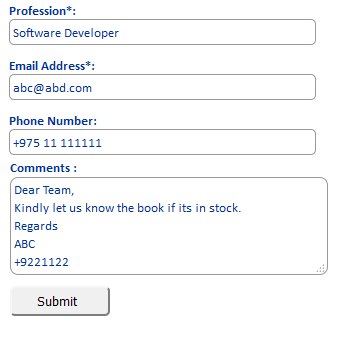 Kindly let us know the book if its in stock.